This free service is designed to assess the need for a formalized occupational or physical therapy evaluation and to educate parents about our therapy services. The screening consists of a developmental milestones questionnaire that is filled out online by the parent, and a 30 min onsite screening and consultation conducted by one of our occupational therapists. During the screening the therapist conducts age appropriate tests and measurements to assess the need for a formalized therapy evaluation. The therapist will discuss the parent’s concerns, answer questions and provide recommendations. Screenings are conducted at our main clinic location: 13720 Midway Rd. STE 107, Dallas, TX 75244. 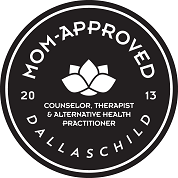 Dallas Outpatient Therapy Services for Kids provides Pediatric Occupational, Physical & Speech Therapy services.